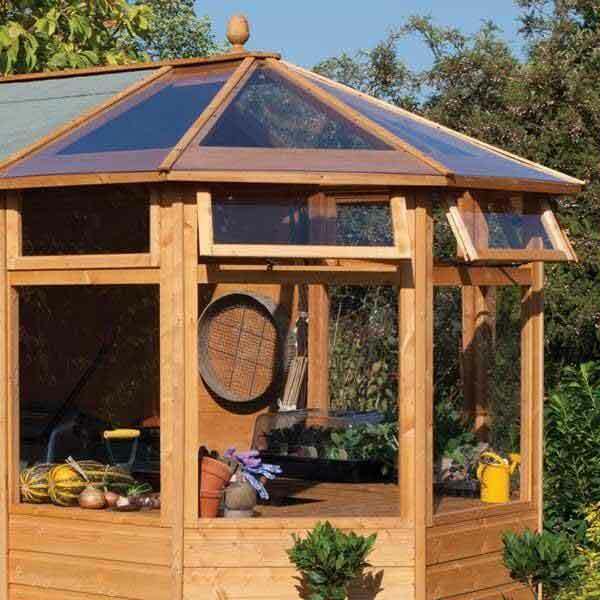 This high quality garden building is constructed from 12mm shiplap cladding, 12 mm tongue and groove floor with solid board roof, ensuring this timber greenhouse is strong and sturdy and will last for many years. 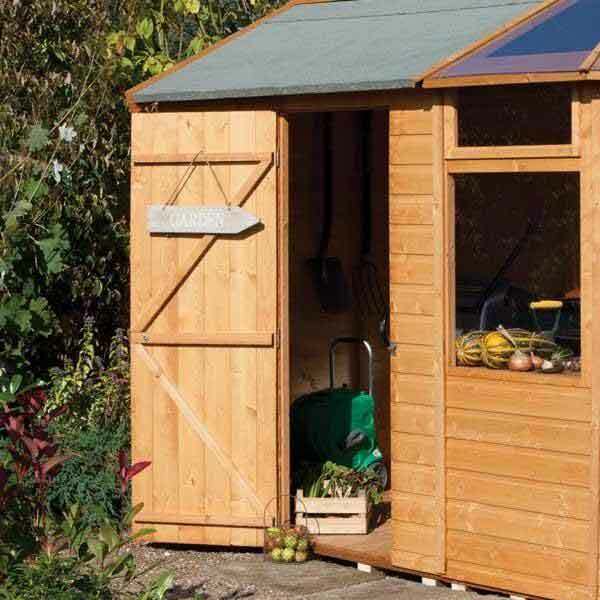 This wooden garden potting store comes with a single door and padbolt locking for your security (padlock not included). 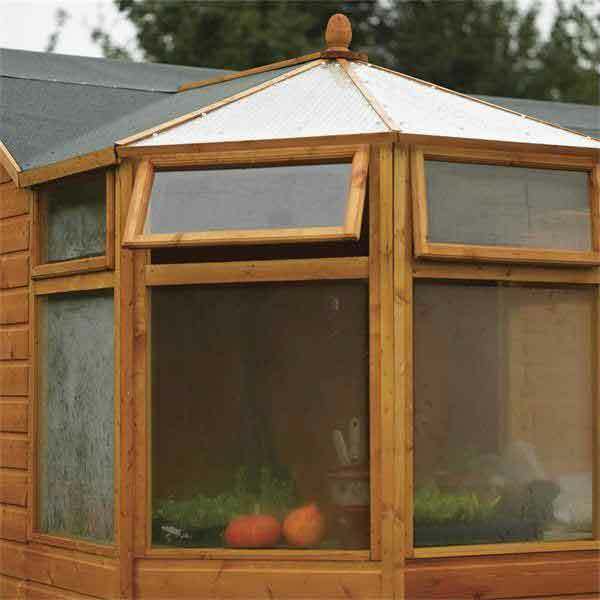 This wooden potting store comes with seven styrene glazed windows , a safe alternative to glass with five roof panels and three opening styrene glazed windows making this garden building light and bright with lots of ventilation. 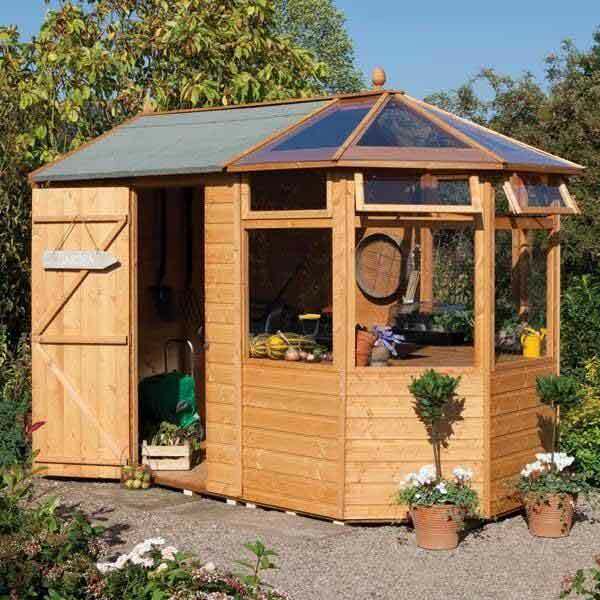 This garden potting shed comes with mineral roofing felt and is finished in a honey brown preservative. 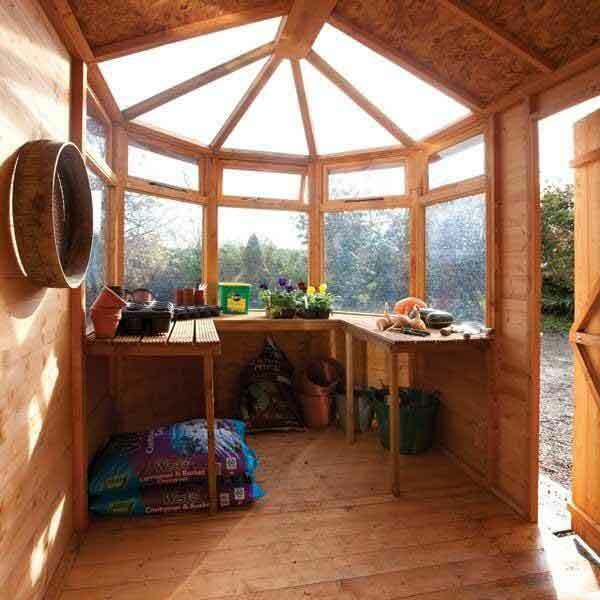 This Rowlinson Potting Store comes with full instructions.